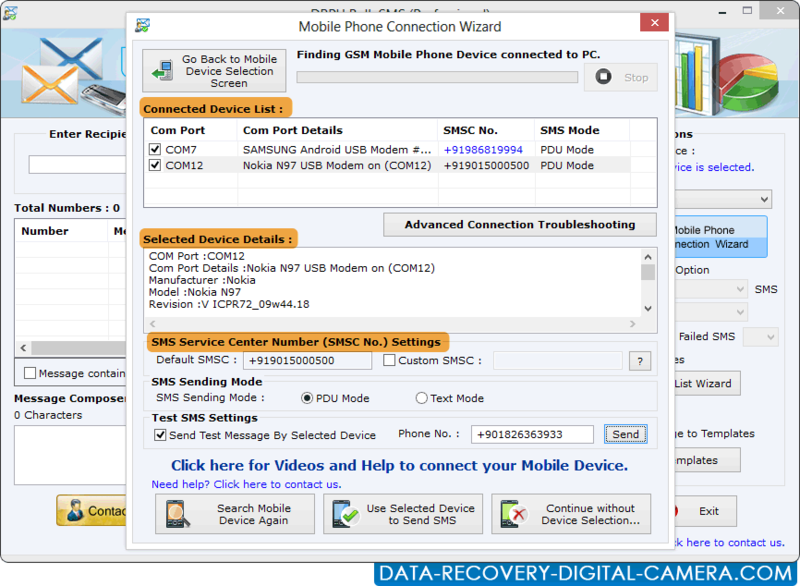 Here, we have two mobile device connected to PC. Select your mobile devices to send text messages. Click on “Load Contacts From File” to load contact numbers, then select 'Delayed Delivery', 'Use Exclusion Rules', 'Save Sent Items' and other options. 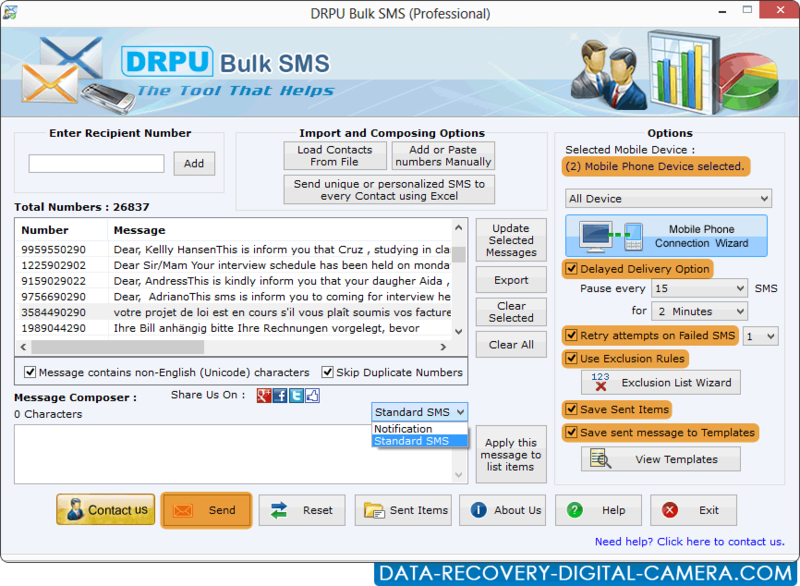 Compose and send standard SMS or notifications as per your requirements. 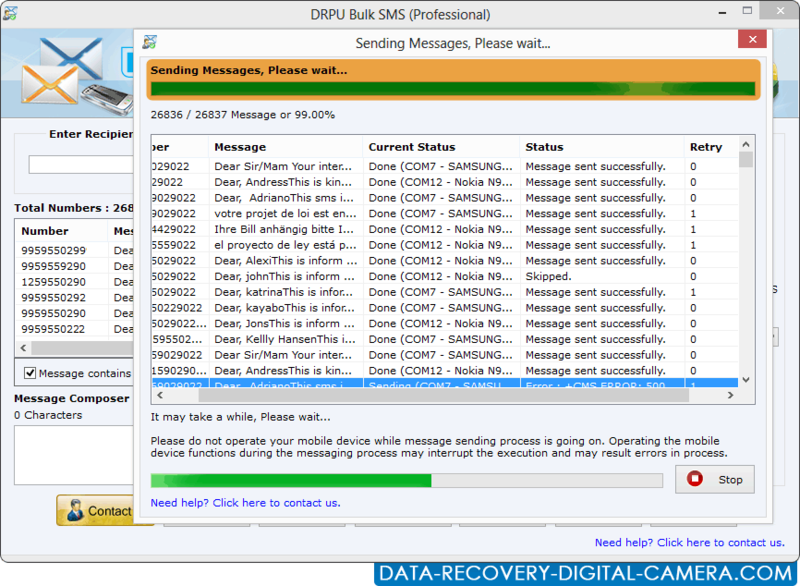 Above screen show message sending process.